ARP Coil Bracket Bolt Kit UNKNOWN - Pann Auto Performance - San Diego largest aftermarket automotive performance parts - What do you drive? 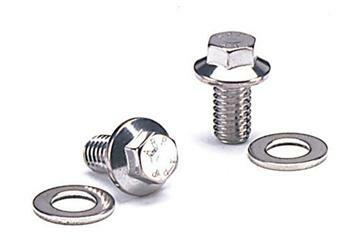 Add a touch of class to your coil bracket installation with an ARP bolt kit. Available in black oxide finished chrome moly or rust-proof stainless steel, as well as with a conventional hex head or compact 12-point (great for use with those coils mounted in tight, hard-to-reach places). Washers included. Coil bracket bolts also included in ARP’s popular Engine & Accessory kits.